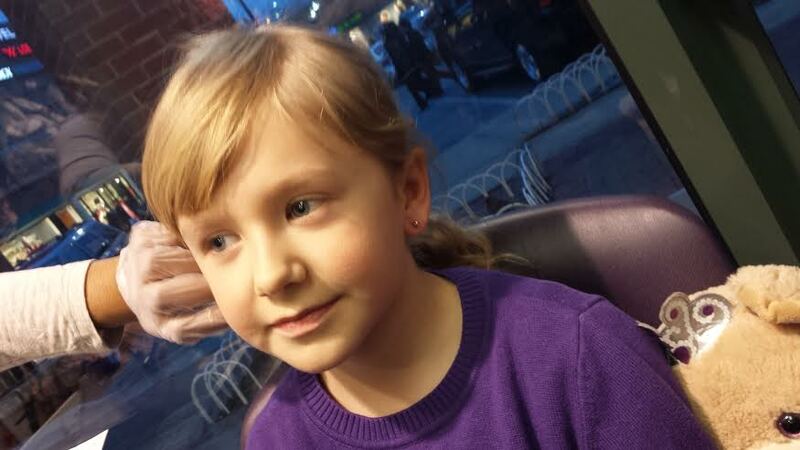 A couple of weeks ago the discussion in our house was about my 7 soon to be 8-year-old getting her ears pierced. 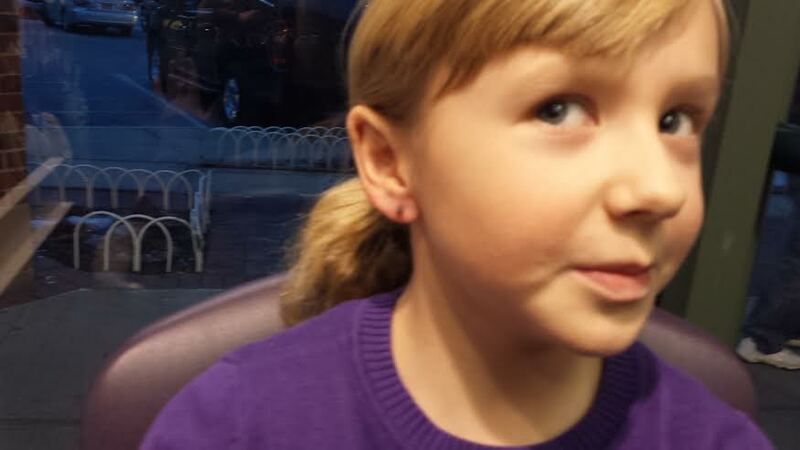 My daughter’s point of view was that she thought it was time to get them pierced. Her argument was based on the fact that all of her friends had them done already. I’m not one to be pushed into making a decision based on what the majority of her classmates are doing so at first I disagreed. I was remembering back to my childhood and recalled that most girls didn’t get their ears pierced until they were 10 or 11 years old. Like it was sort of a pre-teen right of passage thing. Then again I’m a guy and the whole ear-piercing thing wasn’t very relevant to me when I was growing up. Aside from a few of my guy friends who got their ears pierced and my kid sister I didn’t really pay much attention to the issue. Now that I’m a parent of a young girl who is just growing up way too fast the ear piercing issue is more relevant. Call me conservative if you wish but I don’t think young girls should get their ears pierced until they are around 10 or 11 years old. This of course is coming from an over protective dad who is afraid to see his daughter grow up. What flashes forward in my mind is what’s next. Makeup, jewelry, her becoming a teen and worse of all BOYS!!! I guess her getting her ears pierced is more about my own issues with my little girl starting to grow up. Some day hopefully in the very far away future she is going to become an independent young woman. As a father a part of me is scared by this fact. Who would think that a conversation about her getting her ears pierced would bring on all of this anxiety? Well it did and I’m slowly dealing with it. I mean change is going to happen in our lives whether we deal with it and accept it is our choice. For now I have decided to deal with it and accept it. I agreed with my wife that my daughter could get her ears pierced but I was not going to be there to witness the event. Another fatherly instinct; I do not want to see my daughter in any pain. So this past Saturday we agreed to get her ears pierced before going out to dinner. We all drove to a local shopping center in Bayside, NY where Claire’s Boutique was located. I dropped off my wife, daughter, and son in front of Claire’s and told them I would wait in the parking lot while the piercing went on. After sitting in the car for 10 minutes I was growing inpatient. I then thought to myself my daughter getting her ears pierced was a milestone in her life and I didn’t want to miss it. Finally the moment came. The clerk cleaned my daughter’s ears off with alcohol and marked the holes with a special pen. She then loaded the piercing gun and shot the hole in the right ear. My daughter barely flinched. I was expecting tears and screams of pain at any moment but they did not appear. Next she loaded the gun again and shot the hole in the left ear. Once again my daughter didn’t even flinch. Her eyes didn’t even tear up the slightest bit. Standing about 5 feet away I think I was more nervous than she was. My son was busy snapping pictures of the whole event using my wife’s phone. And my wife was holding my daughters hand throughout it all. The first thing my daughter asked me was, “Papa, do you think their pretty.” I immediately replied, “Yes, they are.” As my words came out I could feel myself getting a little choked up. I have come to realize that my beautiful little girl is growing up and I’m going to enjoy every moment of it.